I love Kerala for its delectable cuisine, beautiful sunsets, backwater rides, eye-catching greenery and friendly Malayalis. Whenever I plan a vacation, my first instinct is to set off to Kerala. So when the synopsis spoke about “Malayali way of life”, I was curious about this book. 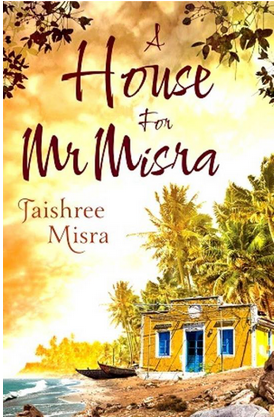 “A House for Mr.Misra” talks about the personal story of the NRI couple - the author and her husband to build a beach house near Trivandrum. Their struggles and challenges in various forms to get the house constructed form the crux of the story. Right from buying the plot, getting the required approvals, negotiations and hassles with architect and builder, dealing with cryptic coastal regulations, neighbour’s taunts to random strangers throwing silly tantrums, the story could have easily slipped into a serious tone. But the author has made sure to bring out humour in every challenge faced. The narrative is hilarious, well supported by witty phrases which along with interesting twists and turns, makes for a delightful read. The author’s command over the language reflects so beautifully throughout the book. And the challenges she faces are quite relatable - be it the conversations at a Government office, crowd gathering to watch over random fights between two parties, loopholes to circumvent rules and regulations etc. “I was clearly one of those awkward customers that she and her colleagues moaned about at the water cooler"
A short, easy and fun read is what “A House for Mr.Misra” is all about.